The average shopper is now more conscious of their purchasing power. Because of the large amount of conversations on economics and their societal impact online, they understand that costs are rising faster than their salaries can support—and so every peso counts. Companies are addressing this by offering more bargains and promos than before. If you want your brand to thrive in this cost-conscious environment, you need to communicate a sense of value-for-money for your products, be it through savvy messaging or through your own promotions. Consumers now understand that their time is a lot more scarce, and solutions that can help them save it—at an affordable cost, of course—have gotten more popular. Now that there are online shopping malls and app-based delivery services that accept cash on delivery, people are starting to turn to online transactions more frequently. By signing up with one or more of these platforms, businesses are able to reach customers where demand is growing, and see their sales increase significantly as a result. It’s long been said that social accounts are a necessity for any brand looking to stay relevant in today’s market, but experts have been noting that different demographics turn to different platforms for their shopping activity. Baby boomers, for instance, tend to make purchase decisions more frequently on Facebook, whereas younger sets favor Instagram or Snapchat. This means that brands looking to cast a wide net need to have accounts on multiple platforms to reach buyers. In addition to that, the brand's community managers have to learn the language in each platform. Today’s consumers choose the brands they support based on how each one aligns with their lifestyle. This is why we’re seeing more tech companies adopt an “ecosystem” approach to their product lines, and why lifestyle brands are starting to offer home electronics alongside body care products. It’s now more crucial than ever to study your brand’s target market; by understanding and addressing their pain points, you send the signal that your brand is representative of the lifestyles they want to establish for themselves. One defining characteristic of today’s consumers is their awareness of social and environmental issues. They prefer brands whose values align with their own, and strongly support companies who make a clear and genuine effort to lessen the impact their operations have on the environment. All Things Hair, for instance, led an effort by Unilever that hoped to make its hair brands more sustainable and eco-friendly. 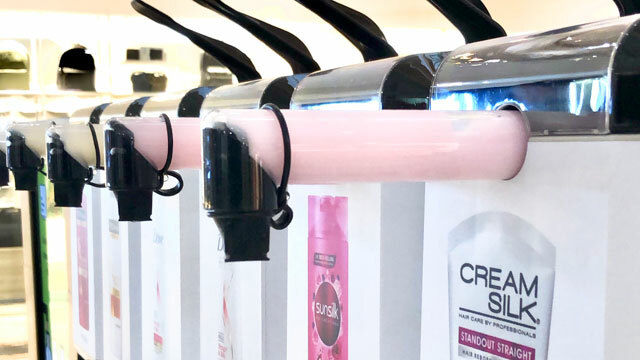 By offering to refill bottles of Dove, TRESemmé, Sunsilk, and Cream Silk products at select refilling stations, the company hoped to encourage its customers to try an alternative way to buy their products. You could directly refill your bottles as long as these matched the exact variants available at the stations. They also offered to exchange your old shampoo and conditioner bottles for a free 100% recyclable bottle. 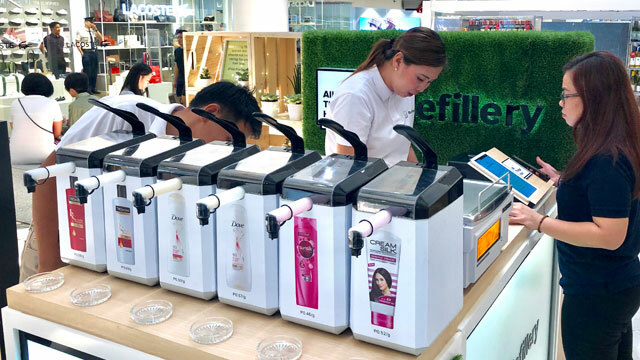 From March 23 to April 14, All Things Hair Refillery stations could be found in three locations: Trinoma, Glorietta 3, and Alabang Town Center. Shampoos and conditioners from the above brands were available at a by-weight cost, making them slightly more affordable while still promising the same quality. And just to make sure that the project fitted an eco-friendly lifestyle to a tee, the refilling stations also doubled as collection points for used plastics, so that they could be upcycled. 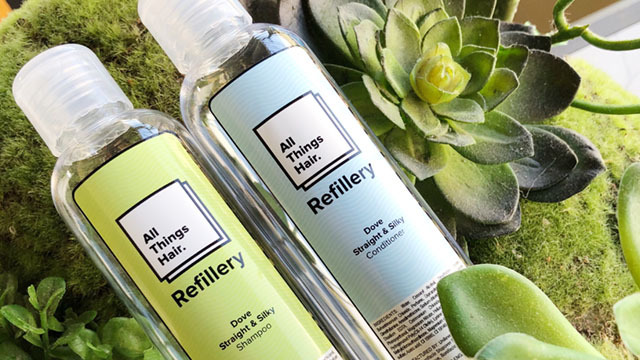 Learn more about the All Things Hair Refillery by following them on Facebook, Instagram, and YouTube, as well as the official All Things Hair website. This article was created by Summit StoryLabs in partnership with UNILEVER CORPORATE.